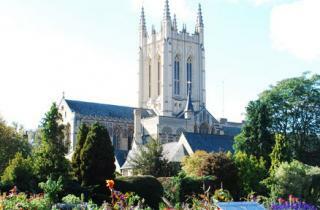 This is your chance to be part of ‘The People’s Cathedral’ at St Edmundsbury Cathedral, Bury St Edmunds. The Cathedral is asking for people to bring their selfies to the Family Activity Day on Wednesday 28 October from 10am to 4pm. These images will be added to a model of the Cathedral which is made of newspaper bricks and has been built by children attending Family Activity Days at the Cathedral over the summer holidays. At the Family Activity Day, which is open to all, free of charge, children can join in quizzes, trails and craft activities all with a recycling theme. Family Activity Days are held on Wednesdays during the school holidays and are aimed at accompanied children from 5-12 years of age. Baileys2 offers a relaxed and friendly environment to lunch, or for a much needed coffee stop!